non-stop Top Shelf Reggae 24/7! Streaming 24x7 Global Internet Reggae Radio for you all to enjoy - Jah Bless! ​from 4:20 PM to 10:20 PM Pacific Daylight Savings Time. EB Meets BB In The Valley of Dubs Volume 1 on September 29, 2017. Have a reggae group or artist that you would like to hear? Want to leave us a comment about the station? Interested in sponsorship and/or partnership opportunities? ​Please use the contact form below. Big Reggae Mix can now be heard directly on iTunes Radio! Listen to the best reggae programming on the planet 24 hours a day, commercial-free. 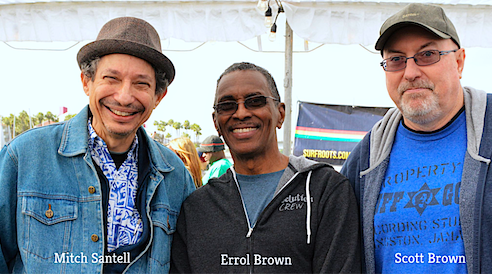 Our station launched in November 2014, and we are excited to be the Global Healing Station - bringing sweet reggae music to the global massive! 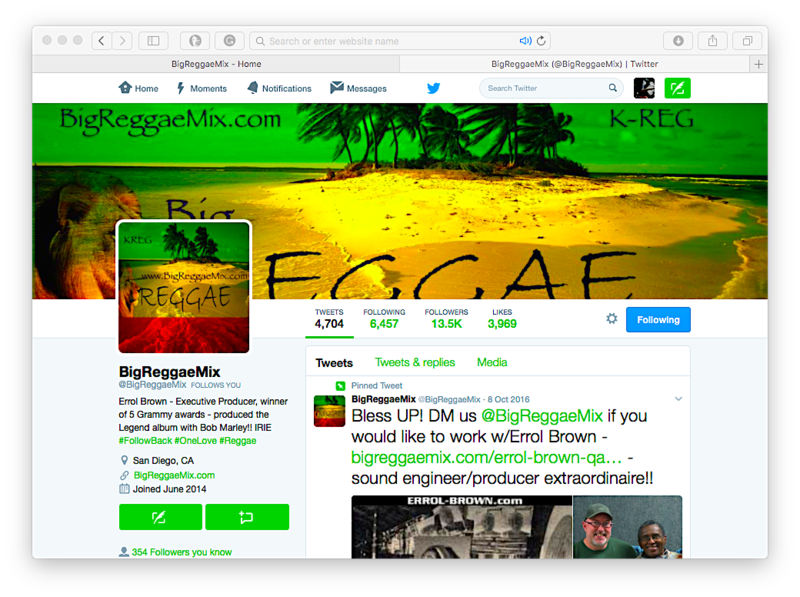 Yes, @BigReggaeMix is on Twitter and Instagram! Please follow us and visit as often as you can. We follow back! KREG-DB Is now live with Reggae Music 24 hours a day. Simply click on the ANNOUNCEMENT at the top of this page to read all the details.